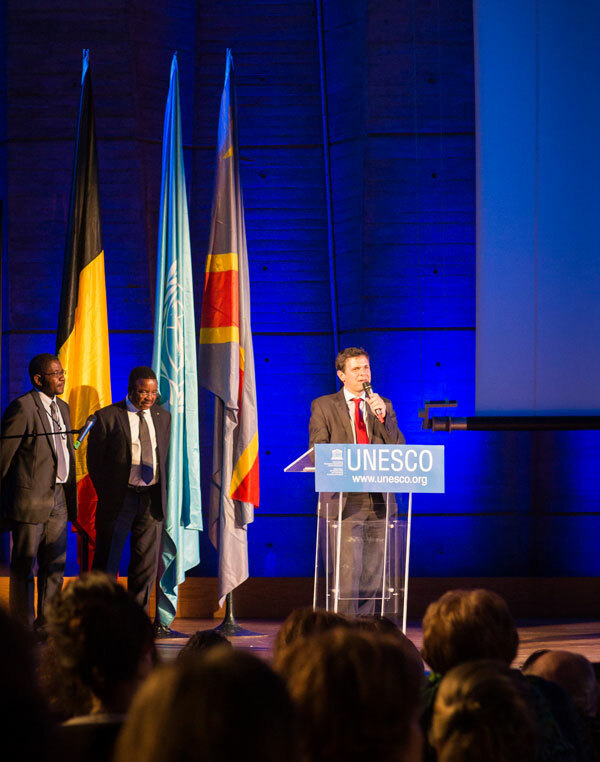 A screening of the movie “Virunga” was organized at UNESCO Headquarters, attended by a thousand people, in the framework of the celebration of the 70th anniversary of UNESCO and the United Nations International Earth Day. The screening of the movie took place in the presence of the Director-General of UNESCO, Mrs Irina Bokova, H.E. Mr Bienvenu Lihota Ndjoli, Minister of Environment and Sustainable Development of the Democratic Republic of the Congo, and Chevalier François Xavier de Donnea de Harmoir, Minister of State of the Kingdom of Belgium. 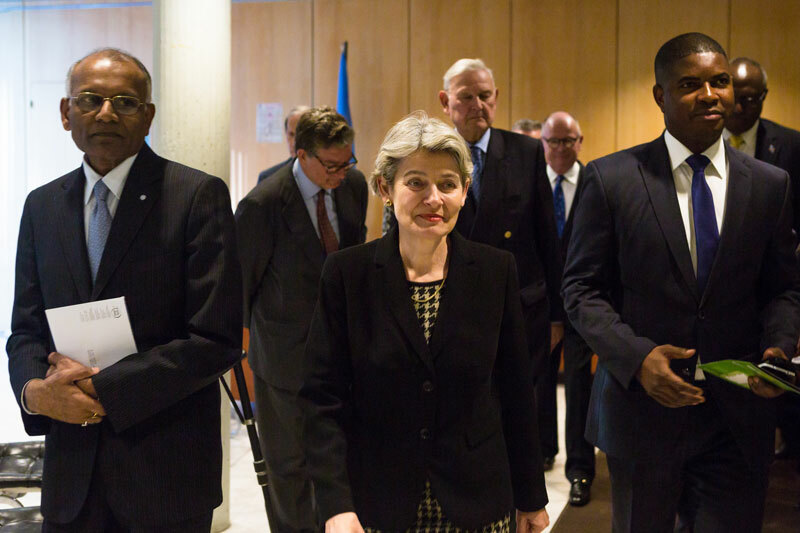 During her opening address, the Director General warmly thanked the Permanent Delegation of the Democratic Republic of the Congo and the Permanent Delegation of the Kingdom of Belgium for jointly having taken the initiative to organize the screening of this movie at UNESCO Headquarters, “ . . . a beautiful symbol of the existing international cooperation, which is necessary on this matter”. She paid tribute to the working teams of the ICCN (Institut Congolais pour la Conservation de la Nature – the authority in charge of Protected Areas in DRC) that take upon themselves, often risking their lives, to safeguard and transmit our common heritage. These have been the principles defended by UNESCO for over 70 years. This movie has been awarded on 23 occasions in different international film festivals. The “Virunga” movie provides a window on the exceptional cultural and natural biodiversity of our planet, but also focuses on the forces that threaten its integrity and those who fight to protect it. The movie displays the last sanctuary of mountain gorillas, located in the confines of the Democratic Republic of the Congo. The documentary, from executive producer Leonardo DiCaprio, follows a team of park rangers fighting to preserve the animals’ natural habitat against poachers and industrial companies in the region. H.E. Mr Ileka Atoki Ambassador extraordinary and plenipotentiary of the Democratic Republic of the Congo to France, and H. E. Mr Yves Haesendonck Ambassador Extraordinary and Plenipotentiary, Permanent Delegate of the Kingdom of Belgium to UNESCO, respectively gave a speech after the statement of the Director General. Mr Emmanuel de Mérode – Director of the Virunga National Park – and Mr Cosma Wilungula Balongelwa – Director of the ICCN – gave powerful and emotional speeches after the screening of the movie.